Daylesford and the BITE Food Festival are passionate about real food and are partnering to provide the opportunity from beginners to the most proficient of chefs, to join them for cookery classes from 1st to 9th February. 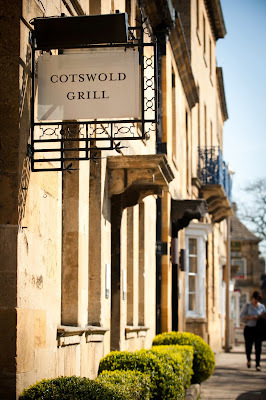 A stay at one of the most beautiful hotels in the Cotswolds, the Cotswold House Hotel & Spa Chipping Campden will turn this quieter time of year into your foodie heaven complete with treats whether in the spa or at the festival. Spend your day at Daylesford Cookery School, refining your skills and techniques, learning about the finest produce and how to perfect seasonal dishes. After all the chopping, learning, tasting and stirring, pop back to the hotel for a relaxing complimentary treatment at the heavenly wellbeing Spa at Cotswold House. With the countdown to Christmas well underway, it's time to start celebrating and raise a glass or two over a meal. If by now you have had your fill of turkey, think of fish to ring the changes. Pescatori, Italian & Seafood Restaurants in W1's Charlotte Street and Mayfair, are offering a tempting Christmas at just £35 with the compliments of the SEAson. With a tasty choice of starters, mains and desserts, you'll be spoilt by Hot & cold smoked salmon, celeriac & fennel salad, Seafood cocktail with little gem and Bloody Mary mayonnaise, Baked escalope of seabass with puttanesca sauce and Seared fillet of Severn & Wye salmon, smoked haddock hash, grain mustard sauce, to name but a few of the many choices on the Menu' Natalizio - the Italian Christmas menu at Pescatori. 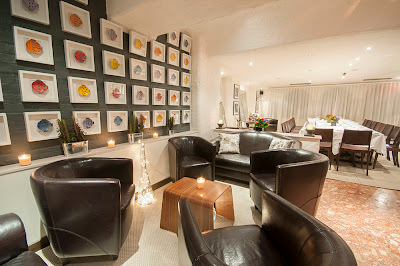 The menu is available from 18 November for parties of eight people minimum. Is This The World's Best Martini? Internationally renowned bartender, Alessandro Palazzi at London’s prestigious martini-haven, Dukes Bar, created a gin martini recipe this week that he believes is the world’s best. 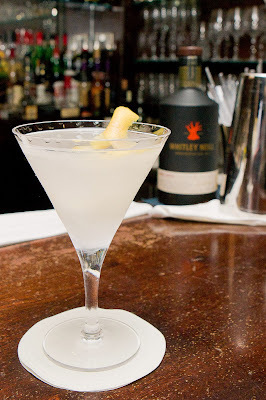 Revealed at an exclusive VIP event at Dukes Bar - within Dukes Hotel - this week, Alessandro explains why hand-crafted Whitley Neill is the perfect base for the best gin martini. Whitley Neill Gin’s rich juniper, citrus and exotic spices combine with a citrusy sweet peppery nose and a distinctive floral aroma. 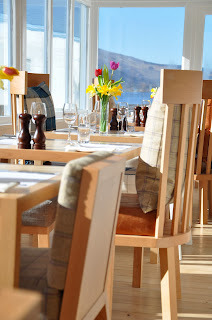 The iconic Loch Fyne Oyster Bar & Restaurant, at the head of Loch Fyne in Scotland, is promising visitors a Fyne time on 30 November as food heroes from across Scotland come together for a St Andrews Day Feast. Visitors will be able to meet some of Scotland's best food and drink producers face to face at a special producers' market and then raise a toast to Scotland's national day with a four course meal specially created by award-winning chef, Roy Brett. Producers like Hebridean Sea Salt will come from as far afield as the Outer Hebrides, while the artisan bakery Mhor Bread will travel from the nearby Trossachs. Diverse produce including seaweed from Mara Seaweed will be available to taste and buy. Those visiting the market will be welcomed by a traditional Scottish piper. 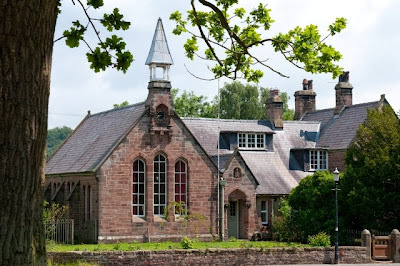 On 11th November at the British Cookery School Awards in London the prestigious Highly-Commended Award for Best Small Cookery School UK 2013 went to the Cheshire based cookery school at Harthill. With the clocks changing and the nights drawing in, there’s no better way to warm the cockles than Rekorderlig’s new Winter Cider Cocktail range, designed to match the rosy glow of your cheeks at this time of year. 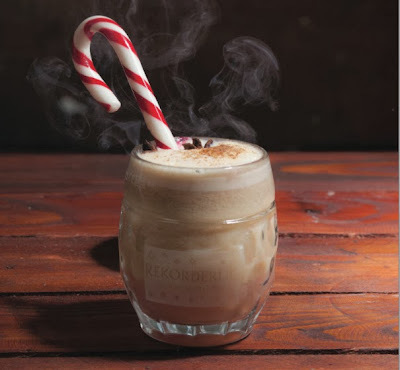 Rekorderlig is fast becoming a premium cider for all seasons – and if you missed the highly successful Summer Cocktails earlier this year, this new selection of recipes featuring the limited edition Rekorderlig Winter Cider flavour will more than make up for it! Made with apples and infused with cinnamon and vanilla, the winter warmer is a truly unique ingredient for a delicious cider cocktail. Curry lovers are invited to 'Spice Up Their Night' at an authentic Gourmet Curry Evening at The Devonshire Arms at Pilsley with award-winning chef Indunil Sanchi on Friday 29th November. After the roaring success of the first Curry Evening back in October, Head Chef at The Noel Arms, Indunil Sanchi will return to The Devonshire Arms at Pilsley and cook up a selection of Middle Eastern treats for just £19.50 per person. 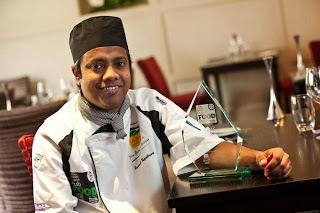 The sought-after Sri Lankan chef, who has been awarded 'UK Pub Curry Chef' for the third year running, is famed for creating an unbeatable fusion of locally sourced ingredients with high quality products to produce mouth-watering authentic curry dishes. 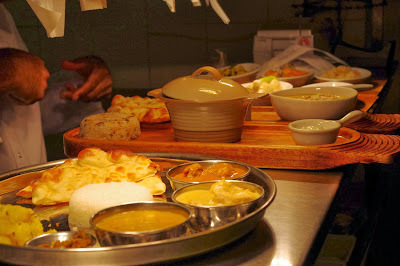 With a starter platter including various dishes such as 'Aloo Ghobi Cream Soup' and 'Curried Cured Salmon' followed by a delicious choice of mains such as 'Sri Lankan Red Fish Curry' and 'Muglhai Style Turkey Korma' there is a selection of dishes to suit all palettes. The first SLOE BLOOM Gin, from the creator of the premium BLOOM London Dry Gin, has been launched. Master Distiller Joanne Moore has created a new version of her floral BLOOM Gin, using hand-picked sloe berries steeped in the highest quality BLOOM Gin, distilled in a traditional copper pot still. BLOOM Gin is made in a distillery in Cheshire which has been producing fine gin by hand for over 250 years and the sloe berries are macerated in the spirit giving a richly coloured, delicious twist to the the floral gin which can be drunk neat, on the rocks or as an ingredient in cocktails. 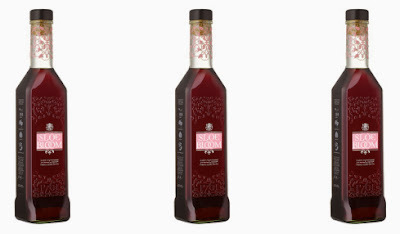 SLOE BLOOM is a limited edition and exclusively available from Harvey Nichols' seven stores and online, as well as at Taste of Christmas 21 - 24 November, Tobacco Dock, London. Food doesn’t get more local than at the Millbrook Inn in South Pool, South Devon where award winning chef Jean-Philippe Bidart sources most of his meat ingredients from the pub’s own farm. And with the dark days of winter approaching, long late Sunday afternoon roasts are back on the menu when the fires will be roaring and everyone will be piling in to savour exquisite home grown meat. Its true field to plate eating, from lamb to duck eggs and there isn’t much JP can’t get from the Millbrook Farm. If not, a call to a local farmer will soon result in a brace of pheasant arriving on the doorstep, or half a dozen rabbits. Any other meat is sourced meticulously, such as Rose Veal coming from the award-winning Pitmans Farm, Cullompton which specializes in rearing rare breeds. And then there’s fish, crab and lobster of course, which is fished off the rugged South Devon coastline. Renamed to reflect the adjacent medieval bridge across the River Kennet, The Packhorse Inn, Moulton is now open for business. The location is a rural West Suffolk village just two and a half miles from Newmarket and part of the ancient route from Bury St Edmunds to Cambridge. The concept is much more modern. 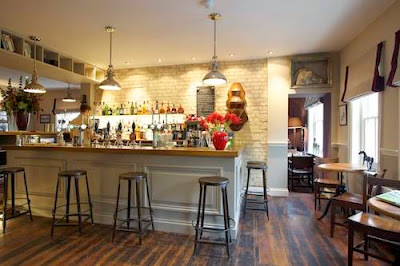 The Packhorse Inn is the bringing together of a number of strands to create both a traditional pub at the heart of the local community and a destination for a truly stunning dining and staying experience, attracting patronage from local businesses and visitors to the area. Below are a couple of festive recipes from Steve's Leaves which may be of interest for people wanting to be good in the run up to the party season. Please do let me know if you'd like samples or further info. 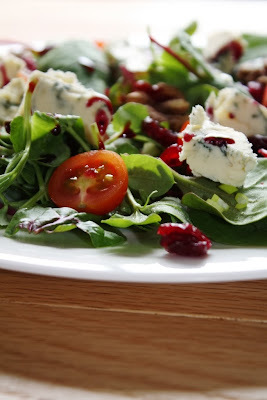 Place the salad on to plates. Halve the cherry tomatoes and add to the plates. Slice the cucumber and radishes then add to the salad. Place a frying pan on a medium heat and add the honey until its warm. Cut the ham into generous chunks then add to the pan. Turn up the heat and allow the ham to warm through in the pan for 2 -3 mins. Keep turning the ham so it is fully coated in honey. Drizzle the dressing over the salad. Then squeeze the lemon juice over too and season with salt and pepper. Finally add the ham on top of the dressed salad and serve. December 5th 2013 marks 80 years exactly since the end of Prohibition, when there was a ban on the sale of alcohol in the US. The 12-year ban on the production, sale and transportation of alcohol in America, which was intended to preserve grain during the war, led to gangsters such as Al Capone and Bugs Moran claiming their fame as they spearheaded the birth of ‘underground’ alcohol consumption in hundreds of thousands of speakeasy clubs. 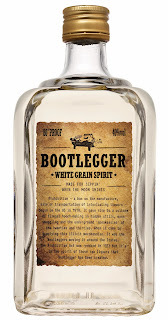 You can raise a glass today and have your own taste of Prohibition with premium white grain spirit, Bootlegger. Inspired by the raw liquor ‘Bootleggers’ moved around the US during Prohibition, Bootlegger is designed to be consumed unaged. Bootlegger has a raw sophisticated taste with aromas of peat, oak and vanilla with a smooth finish and has been created for sipping neat over ice as well as in cocktails. The spirit is celebrating with a new range of cocktails reminiscent of the drinks consumed in the thousands of underground speakeasies. Following a rise in demand for authentic Indian menus at weddings, the outside catering division of Brighton’s award-winning Indian Summer restaurant has announced new menus for nuptial celebrations. Indian Summer generally caterers for up to 20 weddings a year, with party sizes typically varying from 80 to 160. In only about a quarter of their wedding is one or more of the celebrants from an Indian background. Indian Summer does not compete with the largely-London based Indian catering companies, frequently serving between 500 and 1,000 guests, who focus on cost issues rather than the most exacting culinary standards. 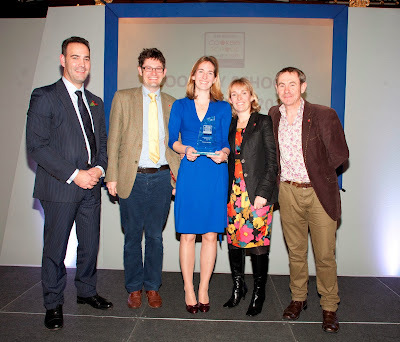 Orchards Cookery scooped the top award at the 2013 British Cookery School Awards on Monday night, 11th November, being voted Cookery School of the Year. The Evesham-based cookery school which specialises in training and recruiting Chalet Cooks as well as running a range of specific courses including Off to University courses, Designer Dinner party courses and Corporate Days also won the Best English Cookery School category. The event took place at the Vintners’ Company in the heart of the City of London, hosted by BBC Radio 2’s food and drink broadcaster Nigel Barden.